A rare, severe liver disease has made 16-year-old Pratik extremely week. He finds it very difficult to walk or even eat and is always in excruciating pain. 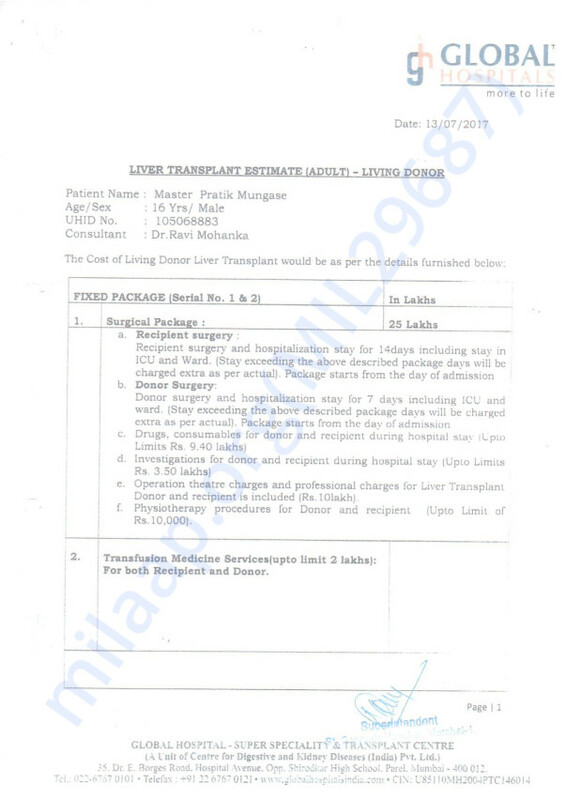 Pratik needs an urgent liver transplant, without which, he might not live long. His father, Chandrakant, is a suitable donor match but doesn’t have the means to pay for his treatment. 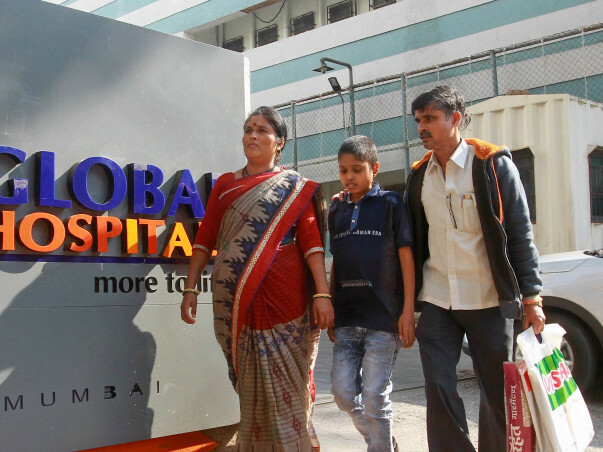 It all started in 2012 when Pratik was hospitalized for one month for unbearable stomach ache. He was then diagnosed with a liver disease and has been suffering with it ever since. Pratik has Budd Chiari Syndrome, a life-threatening liver disease that is caused by blood clots that block blood flow from the liver. Pratik is only 32 kgs and hasn’t grown much in height because of the disease. He has lived with the pain and discomfort for years now. Pratik hasn’t known a normal life growing up and now might never get the chance to without a liver transplant. 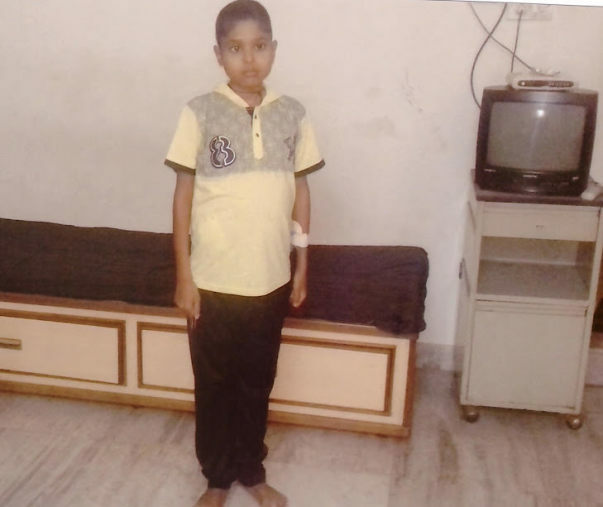 Chandrakant is a suitable donor match for Pratik, but his financial condition is proving to be a roadblock to saving his son. 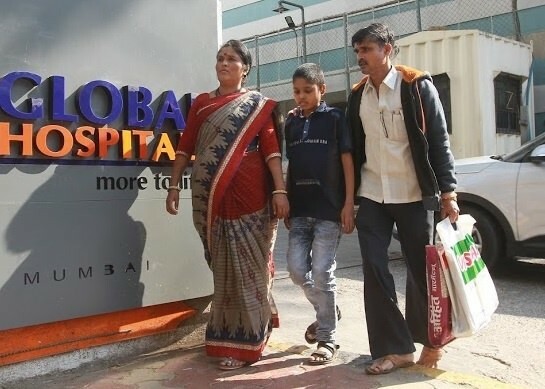 He has spent a lot of money over the years for Pratik’s treatment, and can’t afford to pay the 25 lakhs needed for his transplant on a ward boy’s salary. Pratik desperately longs for a normal life. He’s determined to get better and go back to school to write his class 10 exams. He wants to study further and make his parents proud. Chandrakant and his wife had many hopes and dreams for their son that might never be a reality if he doesn't get treatment. Pratik’s condition is rapidly deteriorating. He needs immediate help. Pratik needs an urgent liver transplant to survive the serious disease he’s been living with since 2012. Pratik can get better, but Chandrakant has a reached a dead end with his finances. Pratik’s medical bills over the years have depleted all his savings. Chandrakant can save his son as he’s a suitable donor, but he needs your help to do so. Your support can save Pratik’s life.